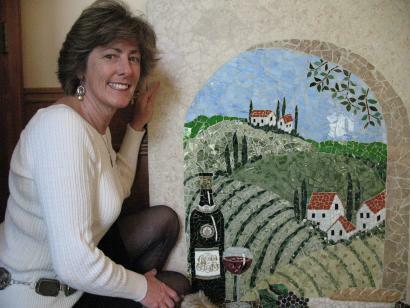 Jennifer is a mosaic artist who began her career in the business world. She has an MBA from Northwestern University's Kellogg School of Business, and for twenty years she owned a successful travel agency. She began working in mosaics in 1998 and developed a particular interest in pique assiette, the creation of artistic images using broken china. In 2004, she studied classical mosaics in Ravenna, Italy. 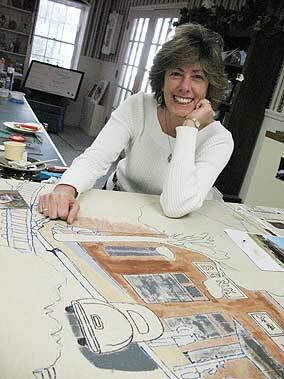 In 2006, she studied mosaics at Domus Orsoni in Venice. She has exhibited in fine art shows and galleries, and is a member of the Society of American Mosaic Artists.